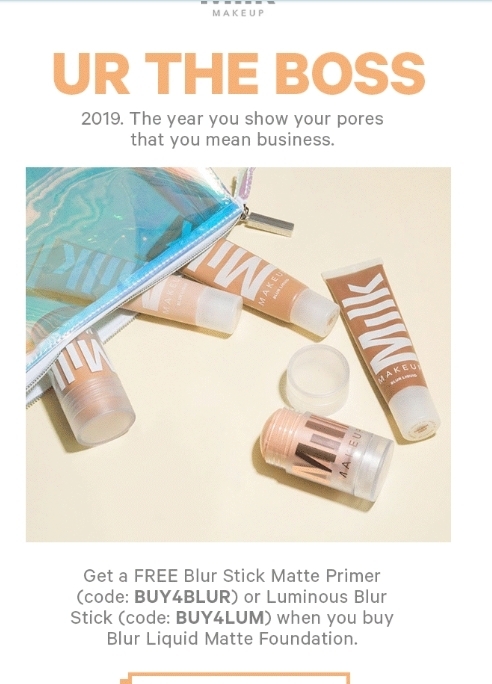 Allen Miller Free Luminous Blur Stick offer valid with any Blur Liquid Matte Foundation purchase. Use code: BUY4LUM to select Luminous Blur Stick at checkout. Offer valid through Monday, 12/31/2018 at 11:59PM PDT or while supplies last.